will be screened at Danish Film Institut /Cinematheque, Copenhagen/Denmark on February 14th. 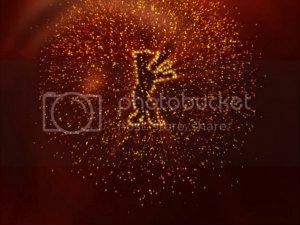 We wish the audience, the filmmakers and the Berlinale-team a fantastic festival! We are very pleased to announce, that the new fictionfilm-project “SchattenTag” (Day of Shades) by Uli M Schueppel (after the novel by Jan Costin Wagner) received Scriptfunding by BKM (German Cultural Ministry)! Uli M Schueppel presents his video-installation “DuDaimon” in the group-exhibition MY ICON, curated by Danielle de Picciotto .”YouDaimon, we listen to each other. A divine narration. THE ROAD, to God Knows Where will be screened at SPFF-Int. 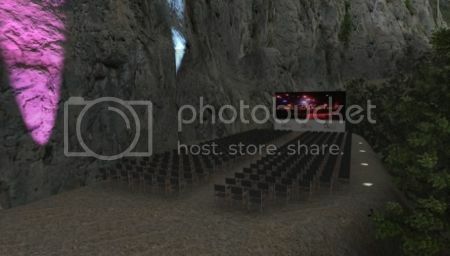 MusicDoc-Festival, Croatia (out of competition) in “Europe’s most beautiful Cinema” (Open-Air, Nationalparc Paklenica). Uli M Schueppel will present the film and will give a Masterclass within the festival-programme on the themes of “Independent Filmmaking”, ” Innovative Music-Doumentaries” und “Direct Online-Distributation”. At the presentation of the ” German Camera-Prize 2013 ” Uli M Schueppel will give the laudatory speech for the award winner Philipp Baben der Erde. The award-ceremony will be broadcasted on German-television (WDR, SWR, SR and EinsFestival). On FLUX.FM – Radio there will be an extensive talk with Uli M Schueppel on his life, the independant filmmaking and the online-release of his films in the 2hours-programme “Spreeblick”. on Sunday, June 23 (10-12am), Repeat on Monday June 24 (7-9pm). 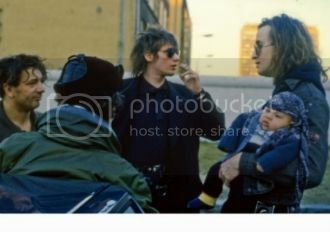 The documentary-essay Jahre der Kälte (Frozen Stories) by Uli M Schueppel will be screenend in the film-series “Back to Start” at Lichtblick-Cinema, Berlin on Wednesday, June 26 at 10:15pm. Uli M Schueppel will give a Q&A after screening. Frozen Stories portrays in a highly personal and formally unconventional way a cautious uncovering of a hidden aspect of his family- and at the same time, postwar German history. On June 8, 2013 Schueppel’s latest documentary “BROETZMANN – Thats When The World Is Mine” (Berlinale 2012) will be premiered here online! – Tranzania.Living.Room. An atmospheric journey through interspaces of imagination – Tanzania/Germany. – BerlinSong A documentary on Berlins urban folk-underground and at the same time an atmospheric jouney into the myth that is Berlin. – Planet Alex Berlin Alexanderplatz 2000 – on their way, over, under and around the square five very different young people meet, lose and find each other. – The Road, to God Knows Where Documentary on NICK CAVE & THE BAD SEEDS touring through North America 89. – Nihil,, oder Alle Zeit der Welt An expressiv nightmare out of WestBerlin in the 80th. The Berlin-cinema Lichtblick-Kino presents some “outstanding and historical significant films of the DFFB”, which has been newly digitalised with the support of Deutsche Kinemathek. Beside works by Wolfgang Becker, Harun Farocki, Wolfgang Petersen, Angela Schanelec or Hannes Stöhr, there will be also shown “THE ROAD, to God Knows Where” by Uli M Schueppel. On May 26. at 22h Uli M Schueppel will be present at the screening. Time for something New! Time for something different! From now on, we will present, little by little, with our partner “distrify”, as much of our films as possible for stream exclusivly here. 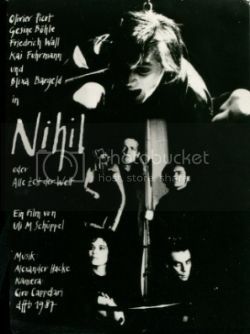 We’re starting today with my very first film “NIHIL, or All The Time In The World ” (West-Berlin/1987) Here for the first time with English subtitels! Through “films to watch now” you can reach the new page. Enjoy the new- and rediscovery of the films!